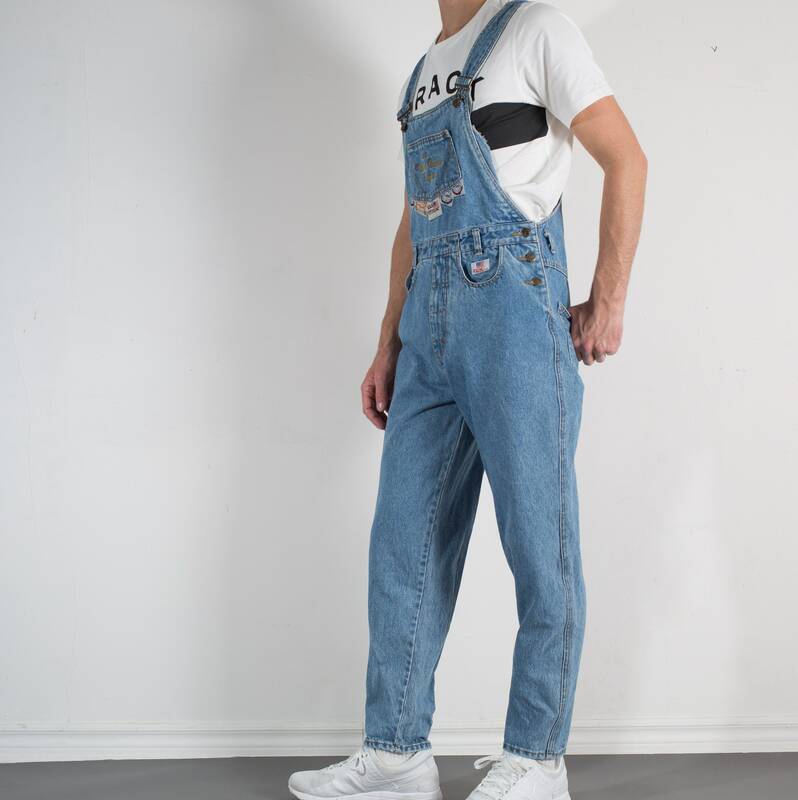 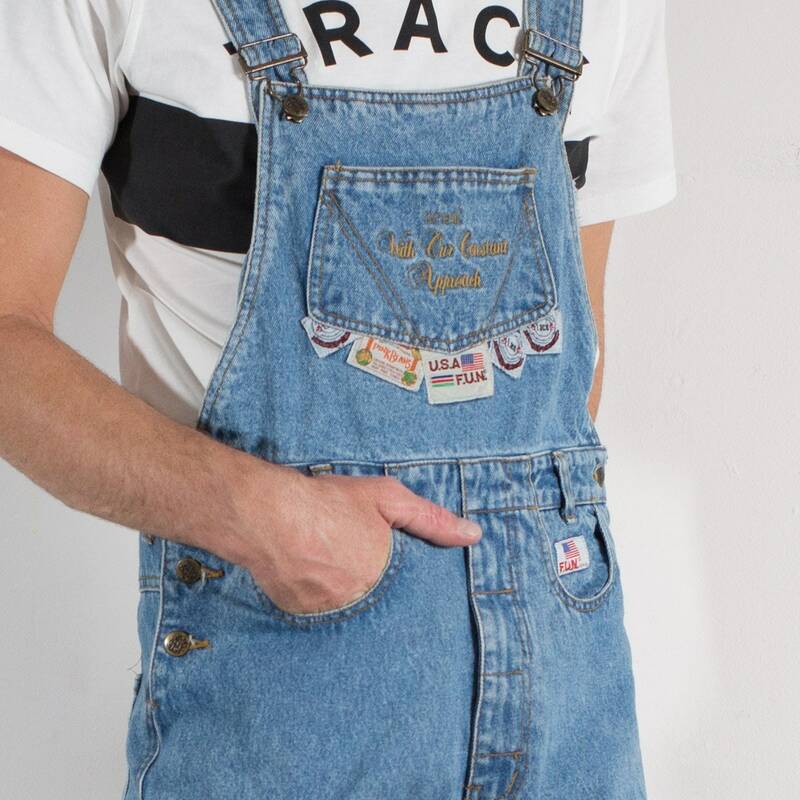 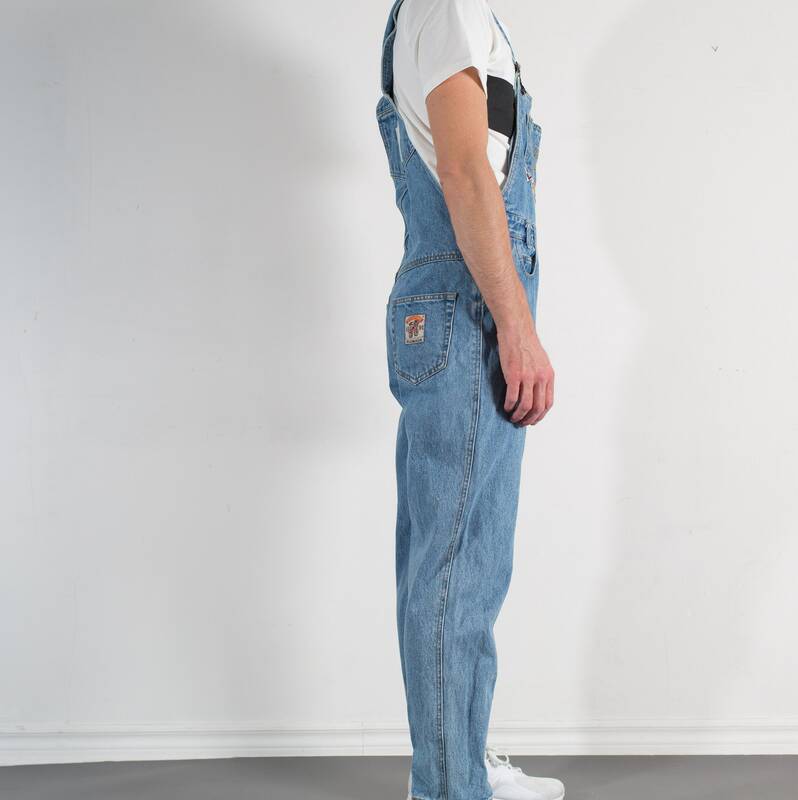 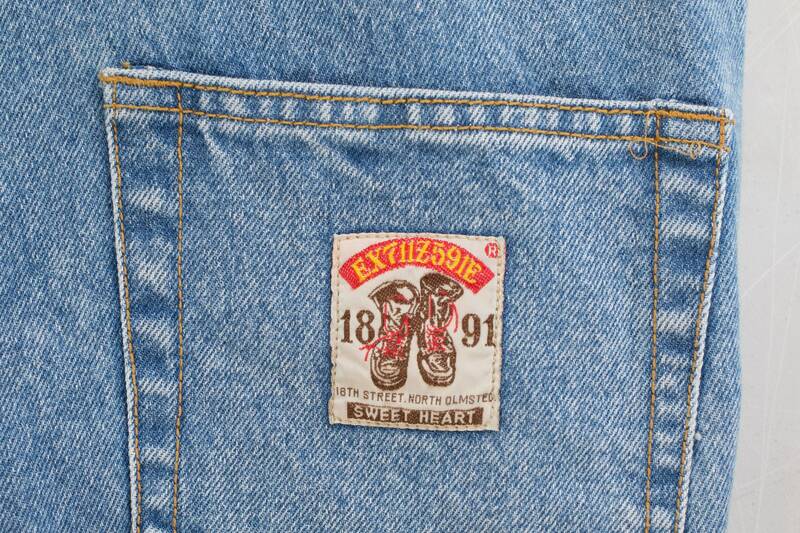 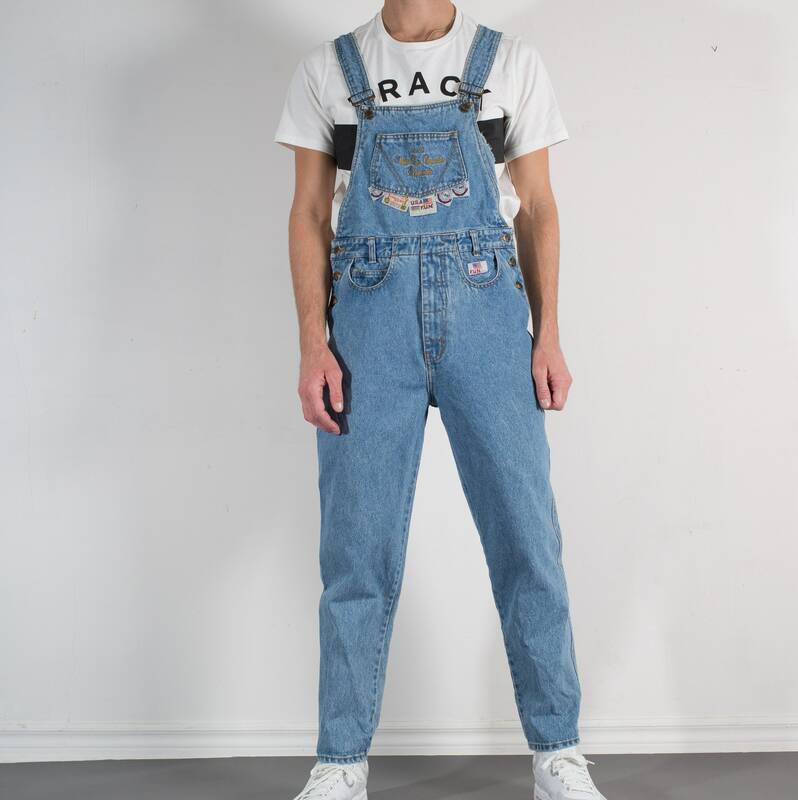 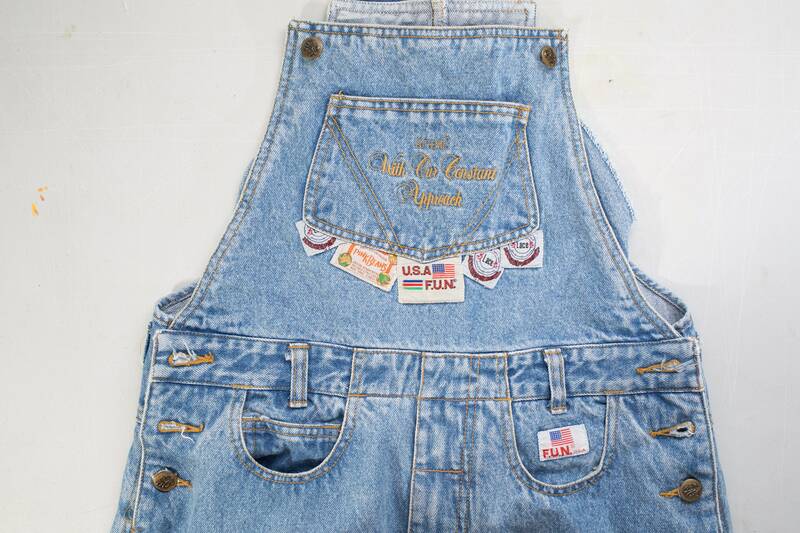 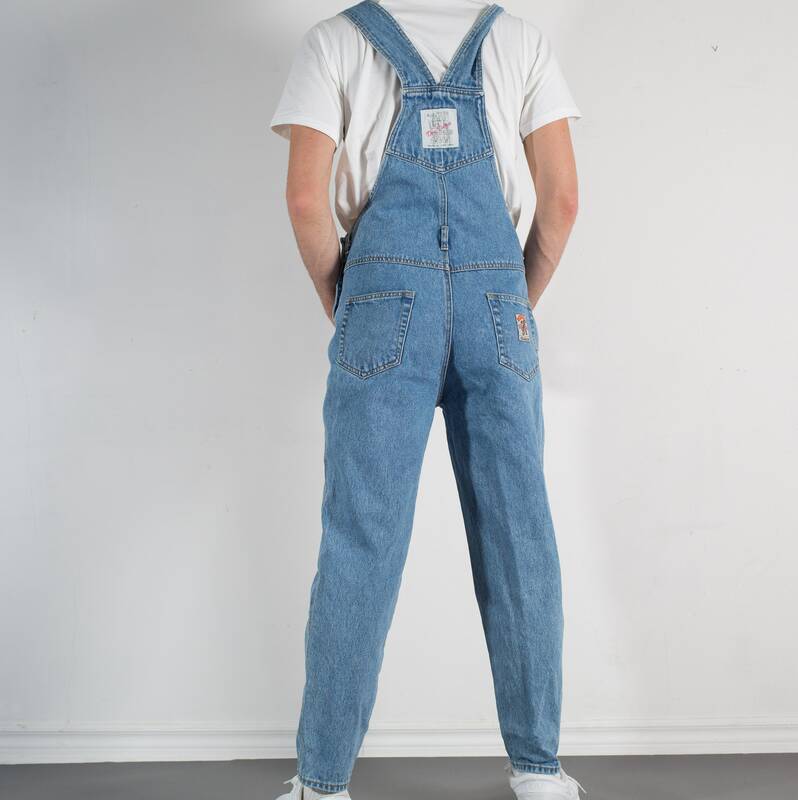 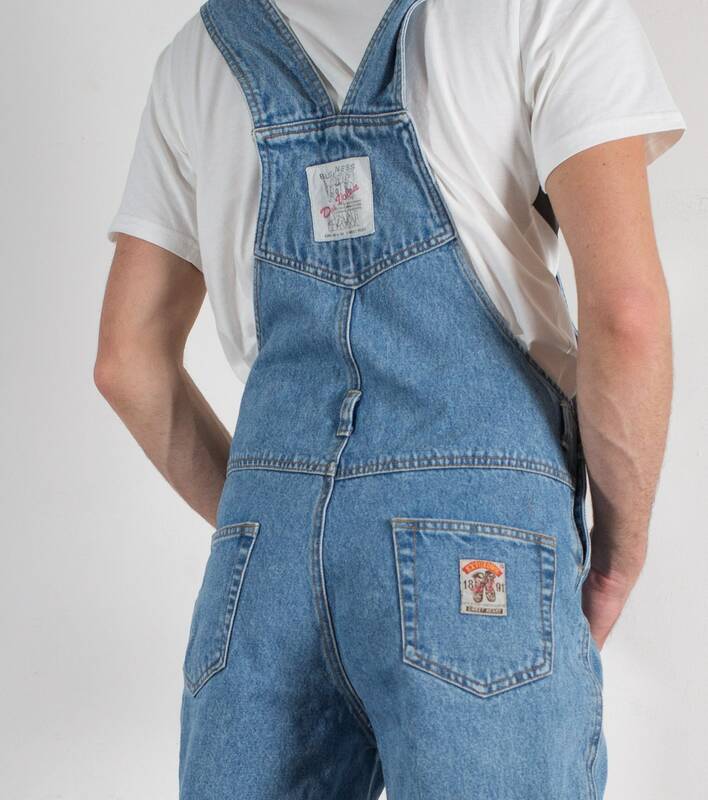 This is an awesome pair of vintage unisex blue denim overalls with funky patches. 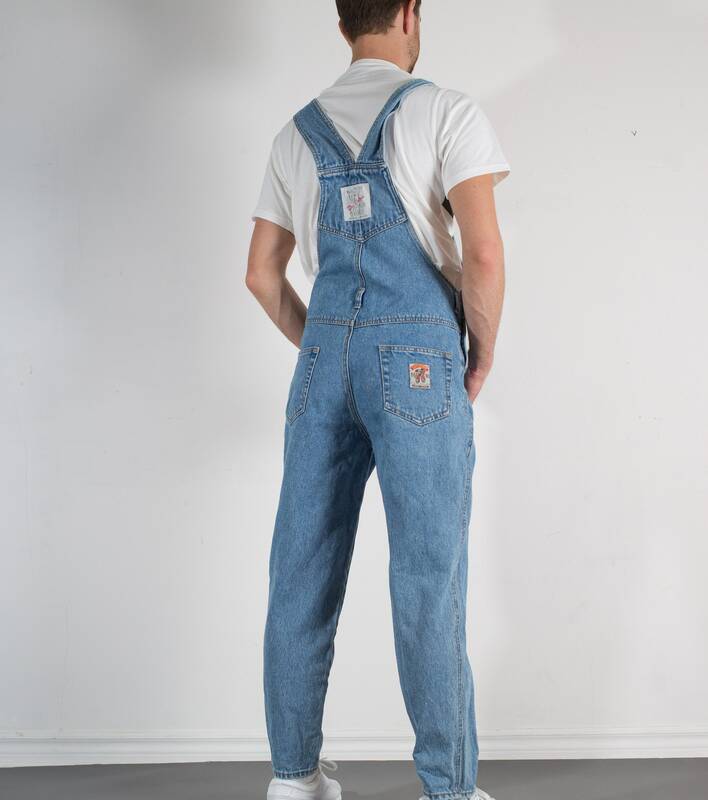 Size: women's large, mens medium (model wears medium, 5”11). 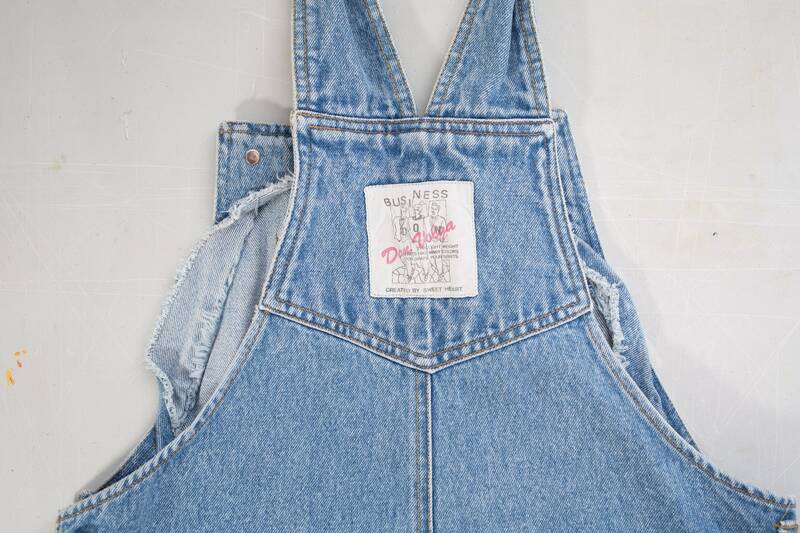 Care: warm wash delicates or hand wash and hang dry.